Britney Spears, Chris Brown, Lil Wayne, Tokio Hotel and Linkin Park were the biggest winners this year. Britney Spears accepts the Best Female Video Award for “Pieces of Me” from Jamie Foxx during the 2008 MTV Video Music Awards in Hollywood. 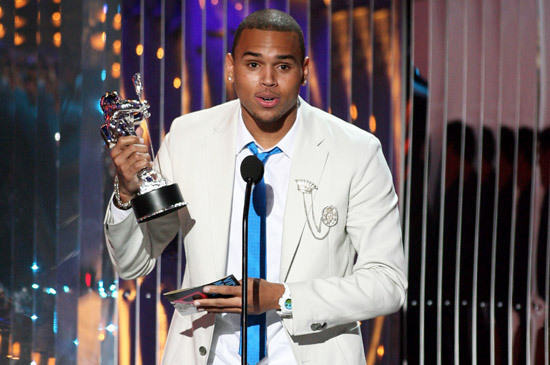 Chris Brown accepts the Best Male Video Award for “With You” during the 2008 MTV Video Music Awards in Hollywood. The Pussycat Dolls accept the Best Dancing In A Video Award for “When I Grow Up” during the 2008 MTV Video Music Awards in Hollywood. Chester Bennington and Joe Hahn of Linkin Park accept the Best Rock Video Award for “Shadow of the Day” during the 2008 MTV Video Music Awards in Hollywood. Lil Wayne accepts the Best Hip Hop Video Award for “Lollipop” during the 2008 MTV Video Music Awards in Hollywood. 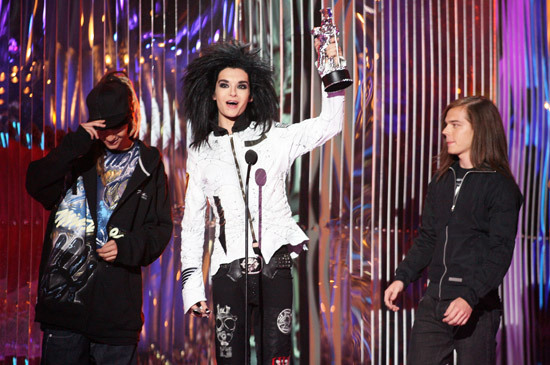 Tokio Hotel accept the Best New Artist Award during the 2008 MTV Video Music Awards in Hollywood.